Former Proteas spinner PAT SYMCOX says that the 2019 ICC World Cup in the UK could be Ottis Gibson’s swansong as head coach of South Africa, with apparent interest from England. I expect the Proteas to complete the job in Cape Town. As good as Sri Lanka were during the two-Test series, they have been extremely poor in the 50-over format thus far. The ODI series has been an all-round disaster for the visitors, who have batted, bowled and fielded poorly. Their selections have also been shambolic, and the fact that head coach Chandika Hathurusingha has been recalled ahead of the three-match T20 series, amid reports the board want to remove him from his post, speaks to the long-standing problems in Sri Lankan cricket. From the playing days of Aravinda de Silva and Arjuna Ranatunga until today, Sri Lanka has gone through a raft of coaches, which has been a disaster for the poor players. As a proud cricket-playing nation, they have so much talent and there is a wealth of passion in their country. However, they are undermined by infighting, mismanagement and maladministration. As someone who knows the country well, having played and commentated in the teardrop of India many times, it’s so sad to see. South Africa, meanwhile, have done well to focus on their own backyard. The hosts are following their checklist against Sri Lanka, with a view to moving on to the World Cup. From a batting front, the home team has been heavily reliant on Quinton de Kock, who has amassed about 60 percent of their runs this series. That is a slight worry, but he is in good form and that will happen. It’s a pity that Hashim Amla didn’t get a hit-out against the islanders, but whether he bats once or twice more before the World Cup proper is not going to make a difference to his game after 20 years of cricket. The return of JP Duminy and Aiden Markram has been a boost for South Africa. I like the fact that Duminy, who will retire from ODIs post-World Cup, was brought back, and I have no doubt that he has a role to play. In terms of Markam, it was disappointing how he lost his wicket in the fourth ODI in Port Elizabeth, but he possesses form, looks in touch and is learning his game. The way he got out was unfortunate – the wicket was slow and he made a mistake – but overall he looked the part. I don’t always judge on scores, but rather the way a player performs. Markram might have gained something from being dropped. He had to go away and think about his game and worked hard, so all credit to him. I appreciate the confidence he’s got in his game and he’s still growing at the age of 24. 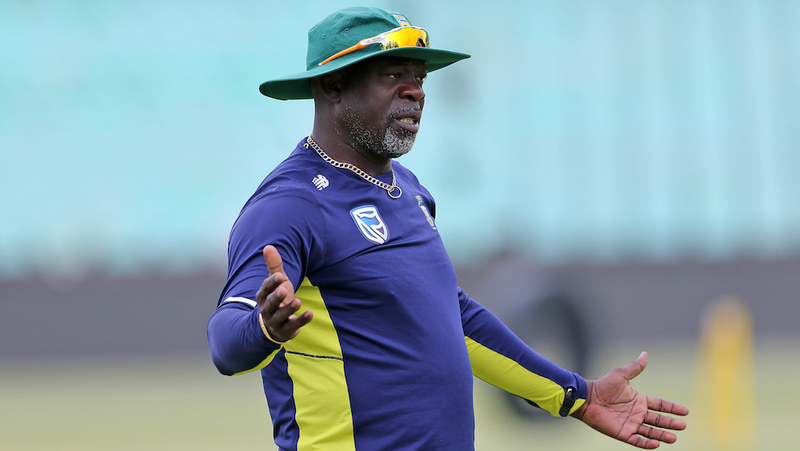 While the Sri Lankan coach has been ordered to return home, South Africa’s head coach, Ottis Gibson, has probably liked what he has done with the Proteas so far. And with the World Cup on the horizon, the Proteas have a coach in Gibson who has experience in England, having played and coached in the UK. All the planning now needs to fall into place. It’s logical to suggest that Gibson isn’t going to be the South African coach for 10 years, and rumour has it that he will vacate his current role to assume the England hot seat after the 2019 World Cup. England is Gibson’s home, having served as their bowling coach, and it remains his base to this day. If he were to be offered the England head coach post, with Trevor Bayliss’s contract expiring in September, I’m sure he’d take it. If South Africa do pretty well at the World Cup, or even go on to win the showpiece event for the first time in their history, I would like to think that the suits at Cricket South Africa would want to retain Gibson as head coach. However, it would be the West Indian’s call. If he guides South Africa through a successful World Cup he would be in high demand. My sense is that when the World Cup climaxes in July, Gibson may have fulfilled his role for South Africa, having been appointed in 2017. If there was a gap in place at England, the question you would have to ask is: Why wouldn’t he take it? World Cups tend to begin and end different eras. At the conclusion of a World Cup, as a team you generally look ahead and start to build for the next campaign with a new set of players and coaches.